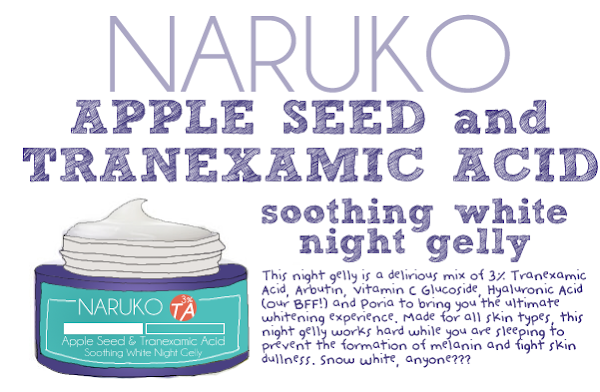 The Apple Seed and Tranexamic Acid Soothing White Night Gelly is under Naruko's Apple Seed Series. This series aims to eradicate dark spots as much as possible with precision. At the same time, it repairs the skin to prevent marks caused by ageing and also to erase existing ones. The Apple Seed and Tranexamic Acid Soothing White Night Gelly is a whitening potion that promises to repair your skin while you sleep. Meant for all skin types, especially those with a dull complexion, get ready to bid dull and tired skin goodbye and say hello to a fairer and more translucent complexion (Snow White, anyone?!)! The night gelly is a meeting of 3% Tranexamic Acid, Arbutin, Vitamin C Glucoside, Hyaluronic Acid and Poria. The first 3 ingredients prevent the formation of melanin, with 3% Tranexamic Acid being the highest brightening concentration. The last two ensure that our skin is plump with nutrients when we wake up from our slumber. Poria also helps to enhance the whitening effect. All these ingredients have been approved by the Taiwan Department of Health in repairing the skin and preventing the formation of melanin. The Apple Seed and Tranexamic Acid Soothing White Night Gelly is contained in a 60ml tub. The night gelly comes with a spatula so that your hands do not come into direct contact with the rest of the night gelly. Do take note to wash your spatula before and after each application! The night gelly comes in the form of a light, milky gel. It has a pleasant scent of Chinese herbs (Think along the lines of Bird's Nest, though it doesn't smell exactly like it. But it's something similar.). I keep most of my masks in the fridge but even when the night gelly wasn't refrigerated, it was cooling on the skin upon application. The night gelly is the product which I am most excited about!!! 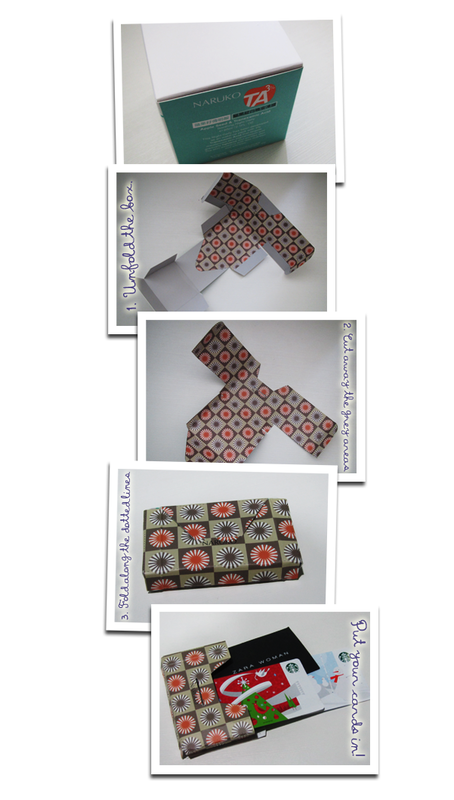 Firstly, it feels so incredibly luxurious on the skin! Secondly, the scent is very relaxing, totally perfect for bed (Especially since I have a laundry list of things to worry about at the moment. :\)! Most importantly, I wake up to skin that's beautifully moisturized. The night gelly sinks into the skin quickly so your skin is totally at ease when you sleep! As for the whitening effect, because I'm pretty fair, it's a little difficult to gauge with the naked eye. But I did notice that my skin look a lot fresher and 'cleaner'. 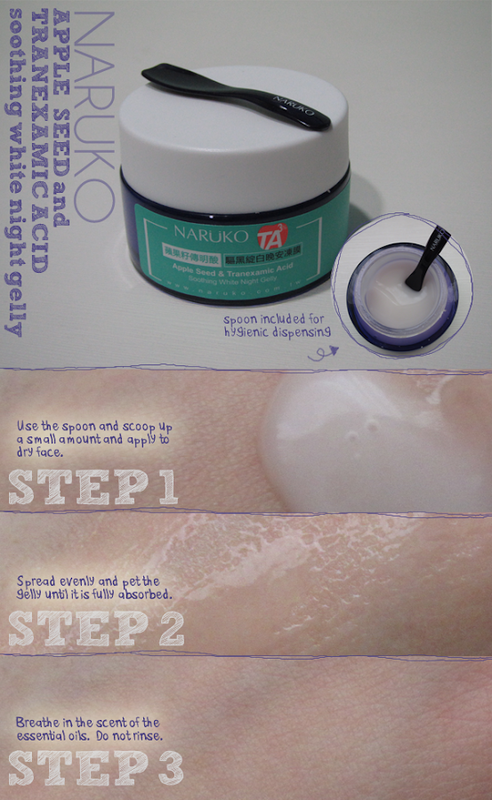 This night gelly will be good for people with normal, dry and combination skin types. For those with an oily skin type, I would suggest avoiding the T-zone area during application as it may be a tad too heavy (Check out Naruko's Tea Tree Oil Out Balancing Moisturizer instead!). Alrighty! I hope you're having a fabulous Chinese New Year! Remember to check out Naruko's new reward system here and get an additional 100 points just by submitting your details here.